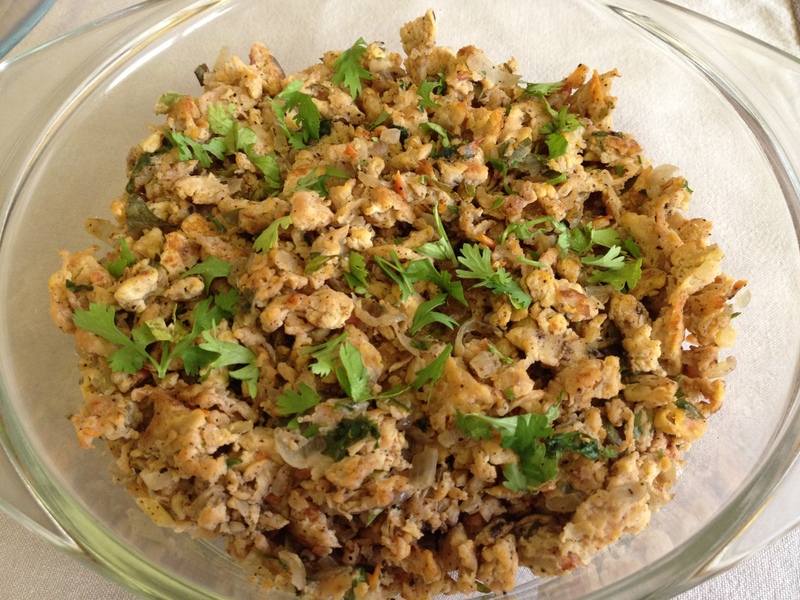 Tasty egg burji with healthy soya nuggets…. No one will detect soya nuggets unless you tell them. Soya nugget is a good source of protein, omega 3 fatty acids, vitamins, minerals and is very good especially for growing children. 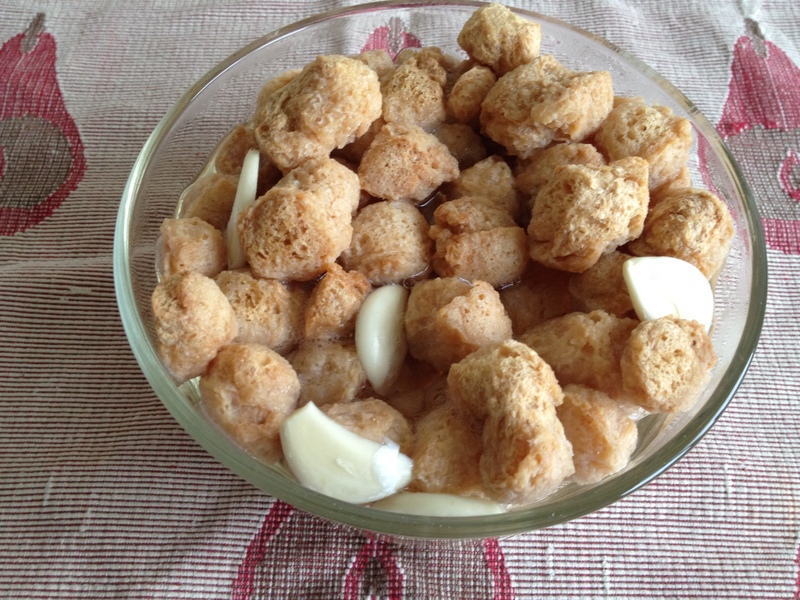 Take soya nuggets in a bowl, add few sliced garlic cloves and pour boiling water. Keep covered for 15 minutes. Drain the water and let it cool a bit. Discard the garlic slices. Squeeze the nuggets with your hands to take out as much water as possible. Mince in a grinder with quick pulses. Take care not to make it a paste. Heat oil and add onions, ginger, green chilies, curry leaves and saute till onions are beginning to brown. Add tomatoes and fry well. Add soya mince and stir for some time (approx. 5 mins). Add eggs and mix well. Break the mixture into small pieces with the spoon. 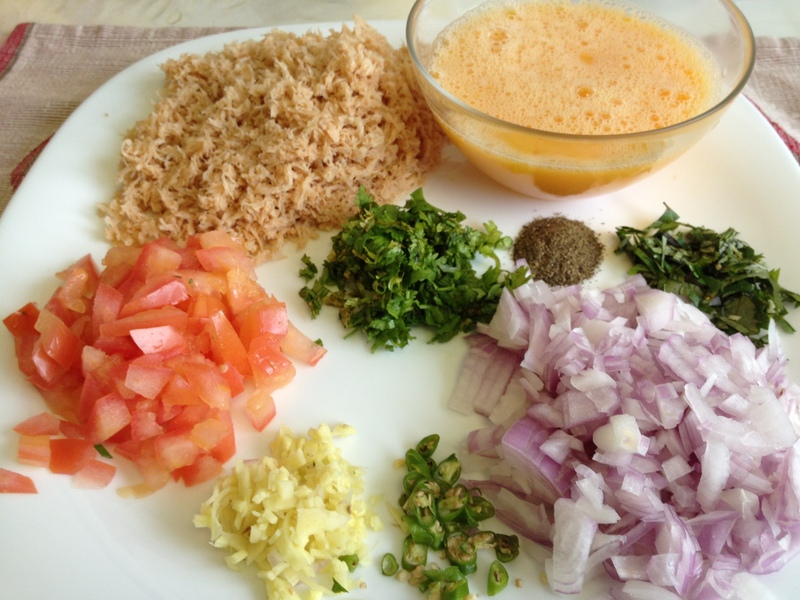 Add coriander leaves and pepper powder and stir for few more minutes. 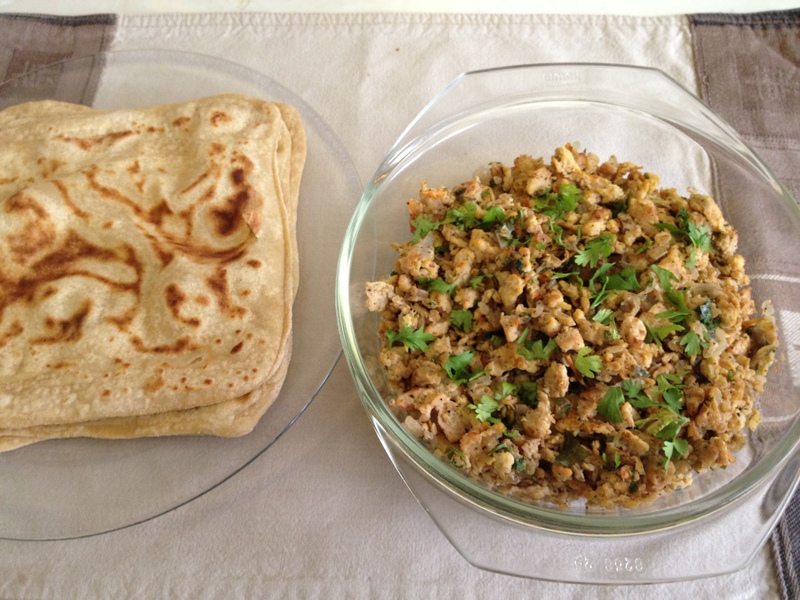 This entry was posted in Non Veg: Eggs and tagged egg burji, soya nugget, soya nugget egg burji by PriyaBaby. Bookmark the permalink.